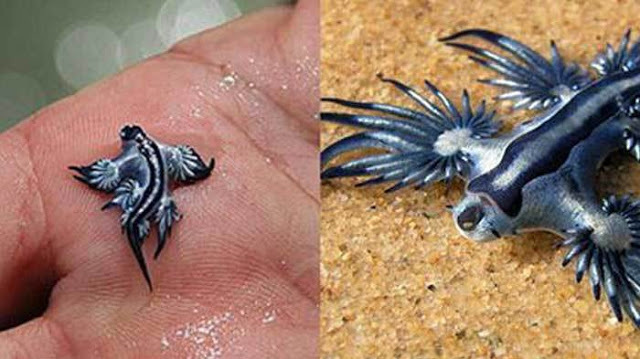 The scientific name of this creature is Glaucus atlanticus but people have called it The Blue Dragon because, well, it suits it better. The Blue Dragon floats on the ocean’s surface belly-up, showing its deep blue belly, which blends in with the blue of the sea. One of the craziest things about this animal is that it feeds itself of jellyfish venom. It’s favorite snack is the Portuguese Man which has a particularly painful venom.